Sitting down to watch a cookery programme could have far reaching outcomes for the size of our waistlines, according to new research carried out in the <?xml:namespace prefix = st1 ns = "urn:schemas-microsoft-com:office:smarttags" />US. While we all love to indulge in a bit of daytime TV or catch some cooking inspiration from our favourite celebrity chefs, this could cause us to reach for unhealthy snacks, even when vitamin-rich vegetables are nearby. Researchers from Hobart and William Smith Colleges in New York tested how a total of 80 participants would fare when faced with either a cookery show or a nature programme and a bundle of snacks, including chocolate, cheese curls and raw carrots. The candidates were split into the two groups - one which watched the cooking programme and the other which took to the sofa to view the nature show. 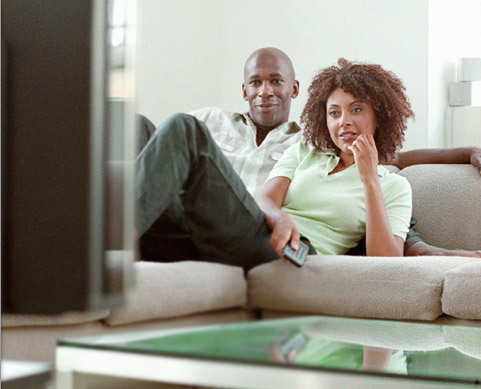 After the programme, the scientists involved in the study weighed up what treats were eaten and by whom to discover if TV viewing impacted on the participants' choices. It was found that those who watched the cooking show ate far higher volumes of the chocolate treats, with those who took in the nature programme preferring the raw carrots. The findings have been published in the journal Appetite, with the researchers saying: "TV watching has been associated with overeating and obesity. But how popular food-related shows affect eating behaviour has not been examined. "These findings may have implications for obesity prevention." Effectively, the study suggests avoiding cooking programmes, at least when sweet treats are nearby, is advisable for anyone trying to curb the size of their waist.